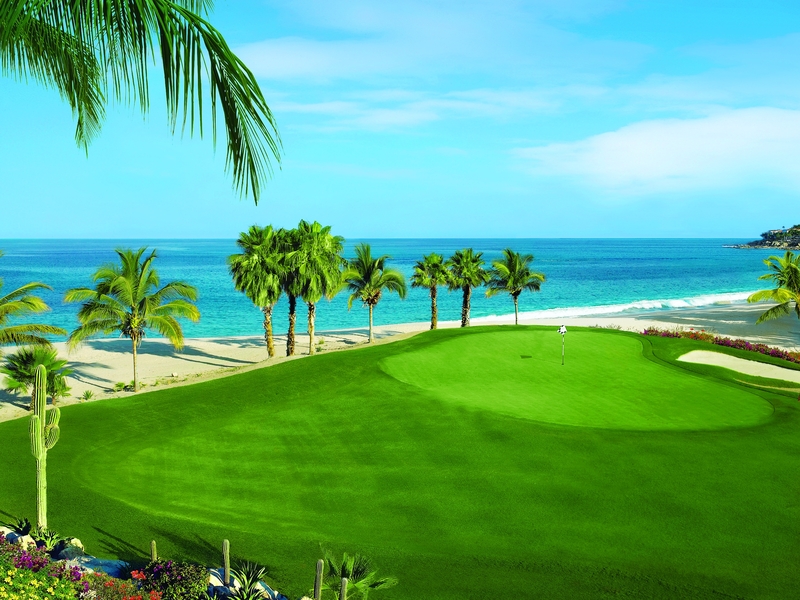 The Ultimate Golf Retreat Experience Ultimate Golf at One&Only Palmilla in Los Cabos, Mexico, with unlimited play on our stunning 27-hole Jack Nicklaus Signature course. Need a little help with your game? Our golf pro will help you fine tune your swing with a RoboGolfPro session, a revolutionary training aid that helps golfers perfect their movement. From beautiful fairways, to pristine greens, to a relaxing après-golf massage, private chauffeured round-trip airport transfers, a $150 resort credit and 4th night free, this package has everything you could want for in a golf getaway. For more information visit Palmilla Golf Club online or call 877.792.2104 for reservations.